Trained mechanics will check, adjust and repair your bike while you wait. We have a range of cables and brake parts plus other common spares. There is no charge for labour, just for any spares used. We are pleased to accept monetary donations of course and these suport Inclusive Pedals to increase access to cycling for all sections of the community. The Inclusive Pedals range of trikes and quads are usually available for you to look at and maybe try a short ride if you are considering booking a session. Mechanics from Brampton Cyclery, Wheely Fun Wheels and Velotastic work together at the workshops. We are always on the look out for funding to enable the workshops to continue as a free provisopn, could you or your business sponsor a workshop? Please contact us or Inclusive Pedals to help. 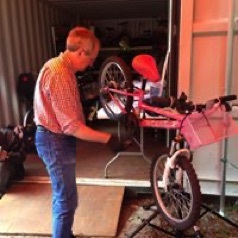 We operate Dr Bike surgeries on a paid for basis at workplaces, commercial events, charity rides, schools and community events. Please contact us to discuss your event prices start at £150 (excluding parts) for a 3- 4 hour event with one mechanic looking at approximately 12 bikes. Some organisers prefer to include basic parts (brake blocks & cables), consumables (a 'free' pack of patches & a small bottle of lubricant etc) - POA. We aim to make a small profit on these sessions to suport Inclusive Pedals to increase access to cycling for all sections of the community. 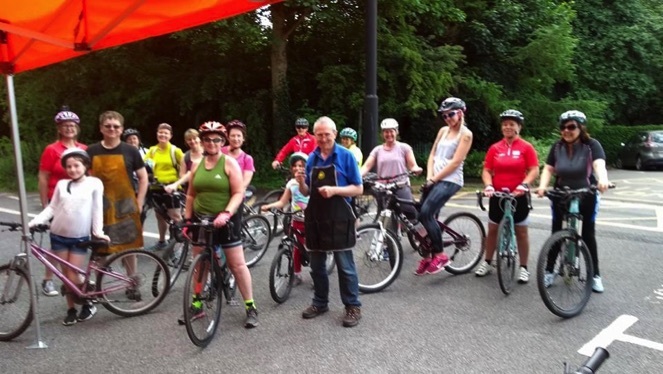 We are committed to getting as many people as possible to experience cycling and, with several local businesses, help to bring a monthly Dr Bike workshop to the Inclusive Pedals storage container in the Queen's Park north car park.